If you're on Medicare, you'll be getting a new Medicare card in the next year or two, with one big difference. 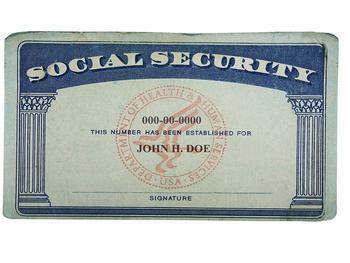 The new card won't have your Social Security number on it. The Centers for Medicare & Medicaid Services (CMS) said it is reacting to the huge increase in fraud targeting seniors. It's concerned that having a Social Security number on the card would lead to identity theft in a case where a wallet is lost or stolen. Instead of the Social Security number, the new Medicare cards will have a randomly-assigned number called a Medicare Beneficiary Identifier (MBI). CMS said it will begin mailing the cards by April 2018 and complete the process by the following April. The government is taking these steps in response to the growing cases of identity theft that increasingly target people 65 and older. CMS says older identity theft victims increased to 2.6 million from 2.1 million over a two year period. While it is distressing emotionally, identity theft also takes a huge financial toll, with two-thirds of all victims reporting a financial loss as a result. According to the Federal Trade Commission (FTC), seniors commonly are victims of identity theft when their Social Security number is used to bill Medicaid for services they did not receive. They are also common victims of fraudulent tax returns, where an identity thief uses a senior's stolen Social Security number to file a fraudulent tax return and collect a large refund. Your new MBI number will be made up of a combination of numbers and uppercase letters. Once Medicare recipients get their new Medicare cards, they will be instructed to safely destroy their old ones. Just as you would protect your Social Security number, CMS says those on Medicare also need to secure their MBI number.